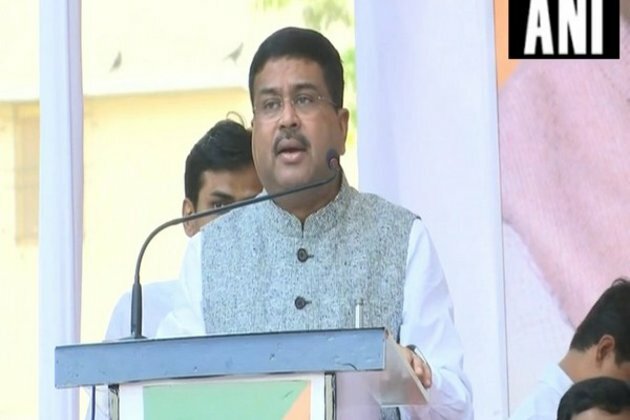 Noida (Uttar Pradesh) [India] Feb 11: Union Minister of Petroleum and Natural Gas Dharmendra Pradhan on Monday launched the general guidelines for the setting up of Dealer Owned Dealer Operated (DODO) CNG stations in India. The guidelines were launched on the sidelines of the 13th edition of Petrotech 2019 in the presence of heads and senior officials of all major organisations in the oil and gas sector including city gas distribution companies through the release of a booklet. Explaining the guidelines, Pradhan said that the booklet will give an opportunity for those in possession of land to join hands with CGD entities in their endeavour to provide clean fuel for the transport sector. The new guideline will reduce the cost of setting up CNG filling stations for CGD entities but will also provide landowners and investors to become partners in this green drive, Pradhan said. entities run by central public sector undertakings will execute these guidelines for further setting up of CNG stations on the DODO model in the country. According to the guidelines which are being introduced in over 150 districts of the country, the entire plot owned by a private owner shall be developed exclusively for setting up of CNG station and allied commercial activities at the discretion of CGD entity. The selection process will be as per individual guidelines developed by each entity. After selection of the site, the plot owner applicant desirous of setting up CNG station will have to enter into a long term agreement with CGD entity. In addition to that, the CNG equipment (compressor/ cascade/ dispenser, etc.) will be installed and commissioned by CGD entity while adhering to all the statutory rules/guidelines related to fire and safety. The guidelines also asked the dealer to arrange all the permissions to set up CNG Station including change of land use, necessary clearance, license, etc. at own expense and cost. The dealer shall be paid commission by the concerned CGD entity as per the sales achieved based on the fixed dealer commission. It is expected that these general guidelines shall add a fillip to the CNG business in the country as easy availability of CNG across the country shall encourage more people to switch to eco-friendly and economical CNG.